Neil Durkee, Co-founder of Los Vaqueros Las Vegas, came to Las Vegas in 1996 knowing only two people who were friends from his days in Orange County, California. As his newly formed group of friends increased, he invited a few of them to join him for a friendly get together at Main Street Station for a glass of wine or two and some good cigars. Fast forward…the group grew from four to eight to sixteen friends in a matter of just a few years. One evening before the group of sixteen were to meet for dinner, Neil recalled an organization he had been President of in Orange County called the “Roosters of Chanteclair” whose motto was “men of industry combining shared laughter and extending to those less fortunate a helping hand.” Neil mentioned the Roosters to Tom Robinson and Casey Jones who were regulars of the group. Neil asked if they thought the group might be at a stage where there would be an interest in a formal organization for the same comradeship/charitable purposes as the Roosters. Both of these gentlemen agreed to poll the others attending that evening and inquire as to whether there was such an interest. The friends thought it was an excellent idea and hence, Los Vaqueros Las Vegas was conceived in February of 2004. Neil Durkee, Tom Robinson, Casey Jones, Tom Hart and Doug Walton constituted the first ever Board of Directors with Neil being elected President. Panevino Ristorante became headquarters for the group (then known as the Don’s of Panevino) and the first ever meeting took place at the restaurant. Through a series of events, both the restaurant and the membership decided to move on and we as a group would seek another name and meeting place. Tinoco’s Restaurant extended an invitation to come and try their excellent South American cuisine and friendly service. The food and service was as Senor Tinoco had expressed both friendly and excellent. But the key question was what should our name be? Tom Hart suggested “Los Vaqueros.” They asked Senor Tinoco for his translation of the term. He thought the name LOS VAQUEROS would serve us well explaining it translated to “Gentlemen Ranchers.” And so it was that Los Vaqueros Las Vegas became the official name of our organization. Unfortunately, Tinoco’s has become a casualty of the current economic times. Our organization has since relocated to Spanish Trails Country Club and it has turned out to be an excellent venue that is consistent with our name. It has location, ambience and excellent food and drink. Tom Hart was named as the new President of Los Vaqueros in 2005. Neil Durkee was named as Chairman Emeritus with a permanent seat on the Board of Directors. Tom quickly showed his excellent organizational abilities and at the end of his term in 2005 he was asked to continue on as President in both 2006 and 2007. Mike Carroll (after having served as First Vice President under Tom) became the next President of the Club in 2008. 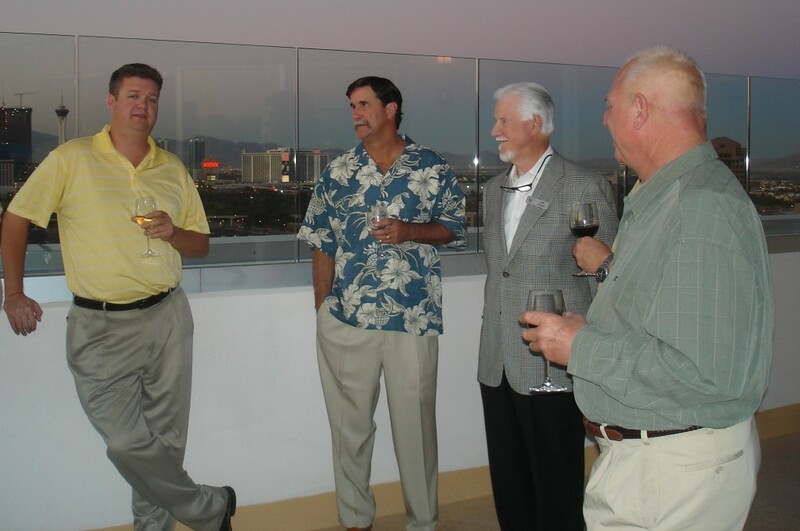 Mike also demonstrated excellent administrative and organizational capabilities and moved the group rapidly to the forefront of recognition throughout the Las Vegas community. In 2009, Mike was asked to stay the course as the continuing President for more than one term. Shortly after his term as President, Mike was given Bank of America’s “Local Hero Award” for his outstanding community service in Las Vegas. The award included a $5000 grant which he generously donated to Los Vaqueros Las Vegas. He’s not only a local hero, but also a man with a big heart. That $5000 will help many, many at-risk children. Succeeding Mike Carroll in 2010, by acclaim, Tom Hart once again held the reins of Los Vaqueros Las Vegas until January 2012. Through his efforts, with a supportive Board of Directors and active membership, Los Vaqueros Las Vegas had the most successful year of their six years in existence. The crowning achievement for 2010 was orchestrated by our Golf Committee at the annual Los Vaqueros Children’s Hope Golf Tournament which was a complete sellout(144 golfers participated) and provided more than $20,000 to our charitable coffers. 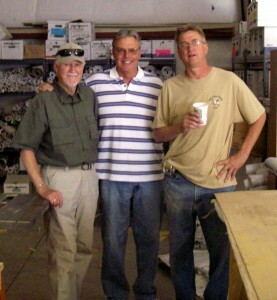 Net proceeds to charity continued to increase in 2011 with $25,000 being raised for Los Vaqueros charity programs. Los Vaqueros’ support of at-risk children shows clearly in our continued support of Lowman Elementary School where Los Vaqueros have, annually, provided tens of thousands of pounds of food, hundreds of pairs of new shoes, back packs, etc. for these children in order to keep them fed and clothed through their hard times. Los Vaqueros Las Vegas supported National Guard Families whose fathers and/or mothers are overseas as another recipient of our efforts. The early Vaqueros effort began by selecting a card from our holiday Christmas tree and then gifting a toy to the child whose name was on the card. This year we were able to give 40 families gift cards in the amount of $200 dollars in conjunction with Kohl’s Department Store, who gave an additional 15% discount, so that these families could have a Merry Christmas for their children. Other community partners and past recipients of aid include St. Jude’s Ranch, Communities In Schools of Southern Nevada, Goodie Two Shoes Foundation, Nevada National Guard, ConKerr Cancer of Las Vegas and children facing life threatening illnesses. Los Vaqueros Las Vegas, born in the congress of fraternity and community, continues to reach a helping hand across the Las Vegas community.